Imagine going to the movies with your eyes closed. How much of the movie would you understand? How much of the storyline would you recall? Not much, and it probably wouldn’t be very engaging. In fact, you may begin to focus on the smells and the sounds of people crunching on popcorn. Your thoughts might wander, and you could even fall asleep. Many struggling readers have a similar experience when they open a book. They get little to no visuals in their mind’s eye while reading, they report that it is difficult to maintain attention and many complain that the process is boring. Others purport to have a “blind mind’s eye” and are amazed to learn that it is possible to create mental imagery while decoding text. The average reader puts 20% of their cognitive effort into decoding and 80% into the visualization and comprehension of the text. However, most struggling readers put 80% of their cognitive effort into the decoding process, leaving a measly 20% for comprehension. It’s no wonder why many can’t generate personal visualizations and they end up putting books down out of boredom, frustration and exhaustion. Voracious readers report that what makes reading enjoyable, enticing and memorable is the mental imagery that they encounter when reading. They report that they get lost in a “movie in their head.” In other words, their mind’s eye conjures up visualizations of the words they read and paints pictures. This is similar to watching a movie and their attention and motivation gets pulled into the pages. What Can We Do to Help Struggling Readers Learn to Create Mental Imagery? Play imaginary games and encourage your students to generate visualizations and describe them in detail. Break your classroom into groups of three students. Ask them to all read a short descriptive passage to themselves. Then ask them to read it again and highlight the words that create mental imagery. Next, encourage the students to share their personal visualizations with their partners. Finally, have the groups report back to the whole class and make a list of all the unique personal visualizations. Encourage learners to listen to passages of text and then draw images. After your students read a chapter, ask them to create storyboards – a sequence of drawings that share the storyline. Take the decoding process away and offer text to speech software. Encourage your students to close their eyes while listening and create a movie in their head. When they are finished, have them write about or draw their own personal visualizations. Are There any Added Benefits of Visualization for Students? By helping your students learn how to visualize, you can provide them a “secret weapon” that can enhance their learning capacity, improve memory and spark creativity. In fact, the research shows that visualization not only improves reading comprehension, but also creative writing abilities and memory for math, history and science concepts. To learn more about this, CLICK HERE. Is it Ever too Late to Develop One’s Mind’s Eye? I’ll never forget a grandmother bringing her grandson to a consultation. After learning that her grandson had a great visual memory, I asked him if he visualized when reading. When he said he didn’t, I went into a short explanation and summary of the process I would teach him. A week later, his grandmother sent me an email. She expressed that she had been listening to our conversation and that she picked up a book and made a conscious effort to visualize the text for the first time in her life. She reported that the experience was wonderful. Are There any Ready-Made Products that Can Help Students Learn to Develop their Mind’s Eye? To help teach students to improve their visualization capacity, I wrote a book entitled Mindful Visualization for Education. This 132-page downloadable document (PDF) provides a review of the research, assessment tools, over twenty game-like activities, lesson suggestions in all the subject areas and more. In addition, I offer two PowerPoint downloads that review the 10 core skills that need to be developed to optimize visualization abilities. If you have any thoughts or comments, please post them below. Over the 15 years that I have worked as a learning specialist and educational therapist, I have never had a student come into my office with a poor test grade and ask me to help them to learn the material that they clearly did not master. Instead of nurturing a desire to learn, our current paradigm instills a fear of failure. As a result, when a student receives what they believe to be a poor grade on a test or assignment, they often feel degraded and ashamed. Oftentimes, these tests and assignments are hidden or thrown away, and learning takes a nosedive. In fact, when a student does unexpectedly poorly on a test, they are often so mortified that they learn little to nothing the rest of the day. Instead they tend to internally ruminate and stress about the grade. Sadly, it is the high test grades that students love to share and celebrate, as students quickly learn that they are rewarded for perfection. When teachers limit feedback to pointing out errors on assignments and tests, this can be both demoralizing and discouraging for learners. Can you imagine working in an environment that only points out errors? Too much criticism can be discouraging and can cause kids to dislike school and ultimately learning. Where Does This Leave the Average Student or Struggling Learners? Average students and struggling learners are often disempowered and frustrated, as they rarely, if ever, get to experience the grades they desire. As a result, many of these learners can fall prey to a sense of learned helplessness. Learned helplessness is a condition in which a person suffers from a sense of powerlessness, arising from persistence failure. They learn to give up quickly as past efforts have failed. It is thought to be one of the underlying causes of depression, acting out in school and even juvenile delinquency. How Can We Shift Paradigms to an Environment that Helps Students Embrace and Celebrate Learning? Teach students that you love hearing about their mistakes and misconceptions. You can even offer a locked box where students can safely and anonymously ask questions or request the review or reteaching of a topic. Let go of grades and only make comments. Begin by telling students what they did right, and then point out a few things they can do to improve their abilities. Try to offer more feedback on what you liked and limit negative feedback, so students do not get overwhelmed. Allow students to always earn back partial credit for doing assignment and test corrections. Share your own past mistakes and misconceptions. If you don’t know an answer to a question, admit it. Then demonstrate for your students how to find the answer. When students make a mistake, do not give them the answer. Instead guide them to the correct response. You can even turn it into a game like, “Who Wants to Be a Millionaire” – where students can ask for one the the following lifelines: 50:50 (give them a choice of two options), ask the class (poll the class), or ask a peer. I hope you found this blog helpful. If you have some other suggestions, please make a comment below this posting. 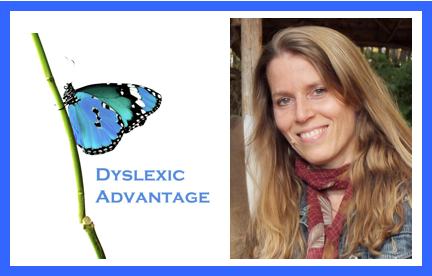 Students with dyslexia and other language-based learning disabilities often learn differently and require an alternative approach to learning basic reading. What’s more, these young learners are working full tilt while sitting in the classroom and by the time they get home and have to complete their homework, they are mentally spent. As a result, tagging on remedial reading lessons to a cup that is already overflowing can be enough to turn these kids off to learning altogether. How Do We Help These Students Learn the Core Skills Needed to be Successful Readers? First, use a remedial program that is backed by time, testimonials and research. 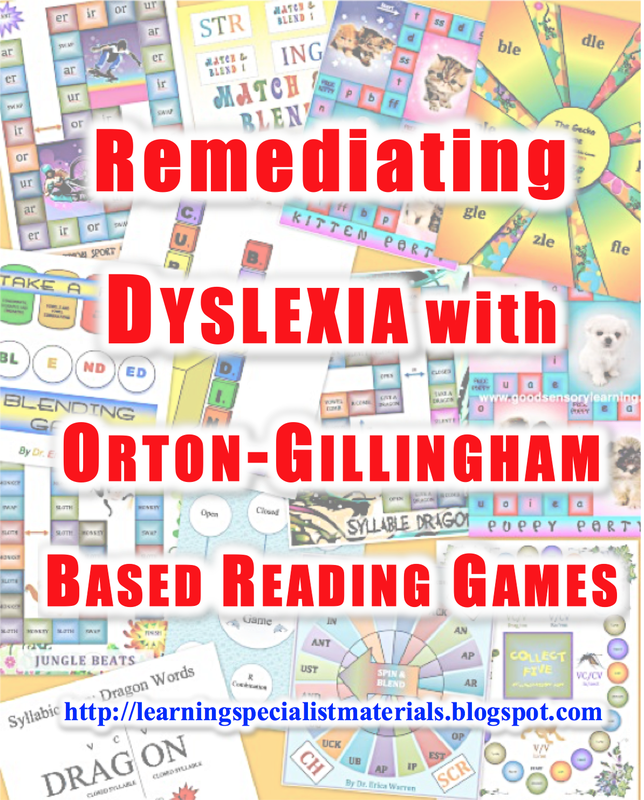 The Orton-Gillingham approach to reading is a well-established and researched approach that offers a multisensory, sequential, incremental, cumulative, individualized, and explicit approach. There are many programs that are available. Click here to learn about a selection of these programs. Third, the process needs to be fun and engaging. Many programs required students to slog through boring lessons, complicated rules, and bland workbook pages. Many of these concepts can be instructed through cute memory strategies and fun activities. You can find many fun supplemental materials here. Fourth, integrate a student-created, colorful, language arts handbook or guide. Click here to learn more about this method. Fifth, help students learn how to visualize what they are reading. Many struggling readers do not have the cognitive space to use their mind’s eye when reading, therefore, developing this skill to automaticity is key. To learn about the research behind visualization and learning as well as how to teach this needed skill click here. Sixth, and most important, supplement all reading programs with card and board games that allow students to practice the concepts they are learning. This brings the fun factor into learning and can help to nurture a love for reading. Where Can I Find Multisensory and Fun Reading Games? At Good Sensory Learning, we offer a large selection of downloadable card and board games that work with any Orton-Gillingham or phonics based reading program. In addition, we have many other supplemental multisensory reading activities and materials. In fact, we just unveiled a new website. Let me know what you think! This week, I am featuring an insightful and impressive guest blog by Marissa Zych. to swallow the United States education pill that is the achievement gap. depend on help from public programs to accommodate for their families. and settings that aren’t available in school. kinds of programs are to bridging the achievement gap. there that have stood out and have done a wonderful job. Thank you Marissa for writing this blog and sharing your insight! Marissa Zych is a twenty year old student at RIT. She is interested in the education and political landscape and is from Albany, New York. She loves getting involved in her community and seeing positive change through giving back. She likes to volunteer her time at after school programs, nursing homes, and animal shelters where she rescued her cocker spaniel puppy Bowie! Over the summer months, kids can easily improve their keyboarding skills while having fun. There are numerous free typing games available on the internet, and this blogpost highlights a few of them. The very first one listed, Dance Mat Typing, is by far my favorite of all the options. In fact, it is better than many purchasable software programs and online lessons. The first two games offer lessons, while the last eight are games that allow students to practice their keyboarding skills. This is a comprehensive typing game. It is a free, beginners keyboarding game by BBC. This site offers some simple, free typing lessons. Kids can practice keyboarding skills by typing the words on the oncoming planes to make them disappear. Type the letters to make the oncoming spaceships disappear while dodging their attack with the space bar. Kids can save a martian colony by typing strings of letters that will destroy the attacking flying saucers. Kids type in the string of letters to destroy the oncoming meteors. If kids type the string of letters, a frog will eat the oncoming words before hit the ground, if not, the frogs will disappear – one at at time. Kids race down a road and type in the string of letters to drive past the cars. If kids type the string of letters before they hit the ground they will disappear, if not, the ghouls will disappear. This game helps kids learn the location of all the keys. It involves shooting down bombs that have letters on them before they hit a city. If you know of any other great, free keyboarding games, please let us know by commenting below. social media, online video chatting, texting, television and more. contrast to this multitasking approach to learning is metacognition, and this can play a critical role in successful learning. actively controls the thought processes engaged in learning. Some other terms that are often used interchangeably with metacognition are self-regulation, and executive control. Planning a learning approach, self-monitoring comprehension, and evaluating ones progress are examples of metacognitive skills. you think about your own thinking. Encourage students to focus on one task at a time from beginning to end. to think through the process. homework time and down time separately. intentions to you or a small group of classmates. and have them share their ideas with their classmates. back tests and assignments, ask them to evaluate their approach. What worked? improve their strategy moving forward? available in my publication, Planning, Time Management and Organization for Success: Quick and EasyApproaches to Mastering Executive Functioning Skills for Students. you have a moment to view it. words that can be replaced with suggested words of encouragement. Getting students comfortable evaluating their mishaps can be useful for the teacher as well as the student. I tell my students that there are two types of errors. What? : I always say this as if I am asking a question. A “What?” is when a student never learned the concept. This lets me know that I have to reteach the concept in a different way. your students will embrace the learning process with confidence and enthusiasm. In addition, providing a safe place where students feel comfortable evaluating their mishaps with cutesy terms such as oopsy doodle and What? will guide classroom strategies that nurture individual success. Two lucky winners will be selected and contacted on Thanksgiving Day. Good luck and have a happy Thanksgiving! some links at the bottom of the post. Make a list of challenging sight words. 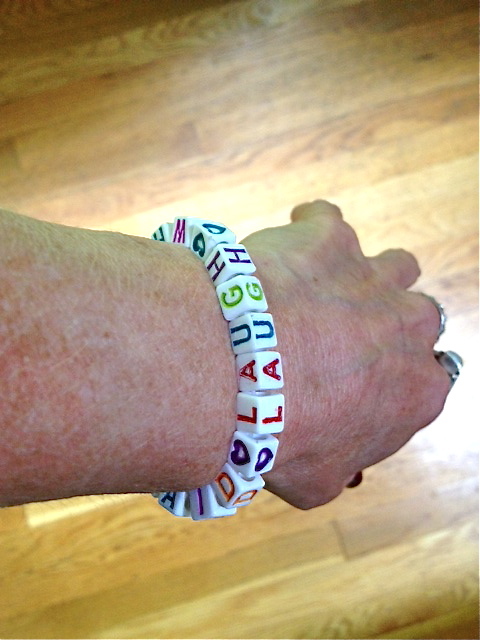 can read the sight word on his or her own bracelet. to write it down on their piece of paper. whispers the word back in their ear. winner. If you don’t want a “winner,” after all the players finish the activity, ask for volunteers to read all the sight words on their paper. that are separated with spacers. Encourage them to wear it and see if they can read and spell all the sight words for their friends and family members. I hope you enjoy this activity! I’d love to hear your thoughts! !